The NBA is known for being lenient when it comes to players getting away with traveling, but a no-call on Monday night was laughably awful. 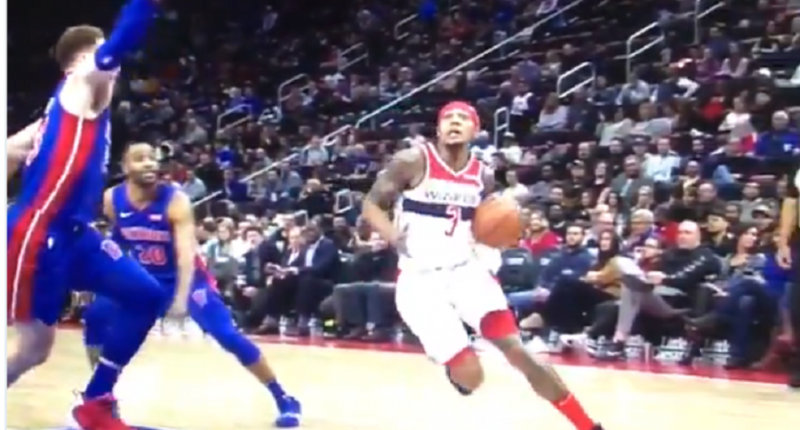 The Washington Wizards’ Bradley Beal took a full, very obvious five steps against the Detroit Pistons, and got away with it. How does this happen? Obviously it will always look worse in slow motion, but even in real time that’s quite clear. While the refs blew the call, it didn’t make a difference in the outcome. The Pistons came away with a 121-112 victory.